Earlier this week, I posted a review of the new CD by John Raymond (read it here) and reported that the group on the recording will be performing at Firehouse 12 in New Haven this Friday May 1. Turns out that drummer Billy Hart is unable to make the gig but the Quartet won't miss a beat as in his chair will be Craig Weinrib (pictured). He's toured and recorded with alto saxophonist Ben van Gelder plus is a member of pianist Sam Harris's Trio and Henry Threadgill's Double-Up. He's also played with a slew of fine progressive musicians such as trumpeter Jonathan Finlayson and pianist Glenn Zaleski. Music starts at 8:30 p.m. Go to firehouse12.com for tickets and more information. Drummer/composer Dafnis Prieto, born and raised in Cuba, has been a resident of New York City since 1999. He has been turning heads and winning awards for his work ever since. His dynamic drumming has propelled the music on recordings by Henry Threadgill ("Up Popped The Two Lips"), the Arturo O'Farrill Trio, the Caribbean Jazz Project, Yosvanny Terry, Steve Coleman & The Five Elements ("Lucidarium"), and Kip Hanrahan ("Beautiful Scars"). He's also released 6 CDs as a leader, the latest being his 2nd with his Sextet. "Triangles and Circles" (Dafnison Music) continues his quest to make music that expands the spectrum of Latin music, with rhythms and melodies from his native Cuba, the Caribbean and South America. His working band includes long-time associates Manuel Valera (piano) and Peter Apfelbaum (tenor and soprano saxophones, melodica) plus Felipe Lamoglia (alto saxophone), Mike Rodriguez (trumpet), and Johannes Weidenmueller (acoustic and electric bass). First time listening to the CDs, it's hard not to be impressed by the musicianship, the arrangements that allows each voice to stand out, and the exciting interactions. Yet, by the time one is halfway through the program, what truly stands out is how Prieto not only drives the band but also how he, Valera, and Weidenmueller create an amazing world of rhythm beneath the group. The drummer, on pieces such as the explosive title track, on "The Evil In You", and on the closing cut, "Opening", is so incredibly funky, one cannot sit still - this is dance music of the highest order. That title track has such quick mood shifts, fiery drumming, and brilliant work from Valera who really directs the music. "Opening" also features an exciting drum solo but, again, listen to how Valera sets the mood with his trance-like high notes and thick low notes. Even on the ballad "Flores", the tango-like rhythms are sensual, seductive, and pull one to the dance floor. It's such a treat to hear how the piano, bass, and drums dance as the alto solo unwinds. Listen to Prieto as he steps lively beneath the alto and tenor saxes plus the trumpet at the beginning of "Two For One" - if that does not move your feet, I doubt anything ever will. Make sure to notice how the composer brings the front line together, weaving their lines in and around each other then setting each soloist free. The voicings behind the piano solo, the stops-and-starts, the playful drum solo, all adds up to an enjoyable aural experience. 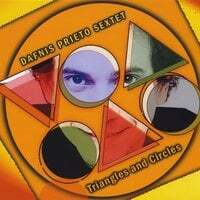 "Triangles and Circles" is yet another gem in the catalog of Dafnis Prieto. And, if this music is so visceral and electric in the studio, the Sextet must be utterly "killing it" in person. Run, don't walk, and find this intense, vivid, and colorful music. For more information, go to www.dafnisonmusic.com. This Friday evening (May 1), Firehouse 12 in New Haven welcomes the John Raymond Quartet. Trumpeter, flugelhornist, and composer, Raymond celebrates the release of his 2nd CD as a leader, "Foreign Territory" (Fresh Sound New Talent), also hits the stores (online and on the street) this week. It's a wonderful album, featuring 6 Raymond compositions, 2 group improvisations, and 1 piece by the late Kenny Wheeler. The band on the recording includes Dan Tepfer (piano), Joe Martin (bass) and master Billy Hart (drums). What's exciting for those attending the live gig is that Raymond will have the same musicians on stage as on the record! And, what an album. The music is invigorating, exploratory, exciting, emotionally rich, and never dull (no surprise, considering the personnel). The program opens with the title track, introduced by the forceful bass work and propelled by the crisp drumming of Mr. Hart. The drummer is the lynchpin of the music throughout the program, never settling for obvious patterns but surprising both musicians and listeners with his "swing" and wit. Raymond includes a short trio (no trumpet) improv, "Hart of the Matter", a piece without trumpet that illustrates the drummer's innate ability to always be moving forward. The other improvisation, titled "Rest/Peace", opens with Raymond's lyrical flugelhorn atop the restless legato of the rhythm section and a rolling piano melody. Because of the lyrical bent of the participants, the track seems through-composed and not "composed" on the spot. This music has so many delightful moments. The trumpet and bass introduce the theme of "Deeper" over Mr. Hart's dancing brush work; when Tepfer enters, he creates the counterpoint that propels the piece forward. Martin's melodic bass solo gives way to Raymond's pleasing jaunt (listen to how the drummer and pianist dance right along). The lengthy legato intro to "Chant" has a gravitas that gives way to the formal melody section that has a Native American feel, the bass lines (from both Martin and Tepfer) have a hypnotic feel that is heightened during the fine piano solo. The Wheeler piece, "Mark Time", has a winding melody line used forward by the muscular drive of the rhythm section. Raymond's trumpet solo features an exciting interaction with Tepfer's dancing piano lines -still, listen to how Mr. Hart leads the band forward and then directs the piece to its quiet finish. The program closes with "Adventurous-Lee", a high-energy boppish piece with a cheery melody that shows the quartet at its best. There are moments when it seems like all 4 lock into the piece, then each goes their own way, then come back together in the true nature of jazz, exploratory and exciting. John McNeil, whose production credits will soon rival those of his recording credits, produced this gem and one imagines all he needed to say was "Roll the tapes." In many ways, "Foreign Territory" is "the sound of surprise" at its best. Even when you return for the 10th or 100th time, you cannot escape how fresh this music is, how spontaneous and joyous in is execution, how good it feels to hear musicians having fun "creating". 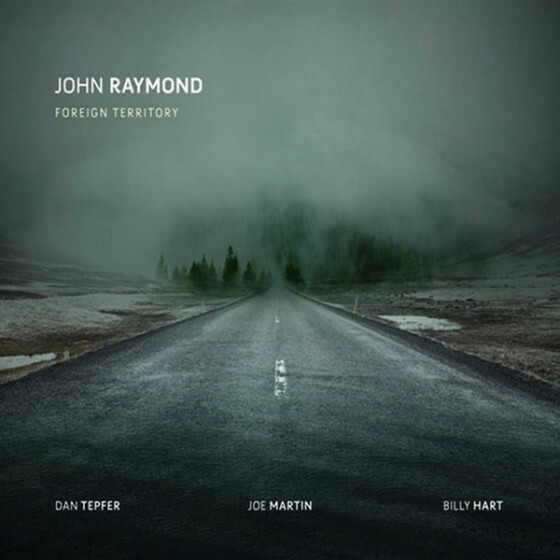 This music, created by John Raymond, Billy Hart, Dan Tepfer and Joe Martin, may be "Foreign Territory" but one should have no fear of joining them on the journey. For more information, go to www.johnraymondmusic.net. Check out the itinerary for the Quartet. If you're in Connecticut and want to see this band live, go to firehouse12.com or call 203-785-0468. 'Tis the annual Wesleyan University Jazz Weekend, 2 days of concerts and a colloquium that spotlights the University's Jazz Orchestra and Jazz Ensemble plus features a guest performer and/or group. This year, the University stayed "in-house", commissioning a new work from Ensemble Director Noah Baerman (pictured left). On Friday evening at 7 p.m. in Crowell Concert Hall, Mr. Baerman who is also on the faculty of the Choate School and an author) presents the Jazz Orchestra and Jazz Ensemble in a program that features music from various musical innovators, musicians and composers such as Louis Armstrong, Edward Kennedy "Duke" Ellington, Thelonious Monk, Wayne Shorter, Charles Mingus and many others. The event is free and open to the public. The following evening (April 25) will be the premiere of Mr. Baerman's extended composition, "The Rock and the Redemption", to be performed by the Noah Baerman Resonance Ensemble. The work (whose origins are explained and illustrated on the composer's blog - go to www.noahjazz.com/blog.html) features an impressive ensemble including long-time friends and associates such as Henry Lugo (bass), Kris Allen (saxophone, flute), Chris Dingman (vibraphone) and Bill Carbone (drums) plus Melanie Hsu (cello, vocals) and vocalists Latanya Farrell, Claire Randall and Garth Taylor. Mr. Baerman not only plays piano and synthesizer but will also will be featured on slide guitar. Opening the evening will be the University Jazz Orchestra and Jazz Ensemble playing a short set each of the composer's works. If you've heard any or all of Noah Baerman's longer works ("Ripples", "Know Thyself", which premiered at Wesleyan 6 years ago) and "Soul Force"), you'll know that the music covers a lot of territory and always has something to say about the human condition. For ticket information, call the Box Office at 860-685-3355 or go online to www.wesleyan.edu/cfa. The Firehouse 12 Spring 2015 Concert Series takes a turn towards the brassy side when the Joe Fiedler Trio plays the performance space this Friday. Mr. Fiedler (pictured left), a native of Pittsburgh, PA, moved to New York City in 1993 and has been an active member of the music scene ever since. He's toured with the Glen Miller Orchestra, recorded numerous sessions and worked in Broadway pit bands. As a leader, he has 2 groups, one being the brass quartet known as Big Sackbut (actually 3 'bones and a tuba) and his Trio. The latter group, which includes Michael Sarin (drums) and Rob Jost (bass), is in the midst of a short tour to celebrate the release of "I'm In" (Mulitphonics Music), the 4th Trio CD in Fiedler's discography. The Firehouse is just about the perfect venue for this group and its music. The new recording features 9 tracks, all Fiedler originals, and is a true group effort. The opening 2 tracks - "Grip" and "Erstwhile" - have exciting rhythms (though it takes the latter track several minutes to get to it. Jost's solid bass lines and Sarin's fine drumming push the proceedings while the leader growls, sputters, swings, swaggers, and gives his all. His use of multiphonics (producing 2 or more simultaneously) gives his work on "Moving In Silence" depth while the rhythm section plays with free time - when the bass and drums drop into a bluesy beat, the music changes personality and starts to strut. The opening to the title track moves in and out of multiphonics before Fiedler starts to "testify." The piece has the feel of one by the late trombonist Albert Mangelsdorff in the way it changes directions and really swings. Bassist Jost leads the way through "Completely 'peccable", his muscular phrases egged on by the dancing drum work. Sarin, who is well-known around Connecticut for his work with Mario Pavone and Ben Allison, plays with free as well as grace throughout, really pushing his fellow musicians without stepping on their musical toes. "I'm In" is powerful yet fluid music and Joe Fiedler continues to mature as a composer, arranger and musician. But, this is very much a Trio recording and these fine players are not only in the same room but in the same wavelength. Turn it up, then go see them live. For ticket information, go to firehouse12.com or call 203-785-0468. To find out about the Joe Fiedler Trio, go to www.joefiedler.com. 9 of the 11 tracks are Tallitsch originals and display a penchant for strong melodies plus lively arrangements. The first track, "Passages", jumps right out of the gate with smart rhythmic changes and great blowing all around. Ferber and Brendler lead the charge, the reeds and brass pick up the and all enjoy the thick cushion of piano chords from Charette. A pleasant surprise comes next with the gospel-soaked "The Night The Drove Old Dixie Down", a spotlight for Charette in that both his piano and organ sounds are integral to the texture and movement of the piece. The leader's tenor solo stays close to melody and the horns strongly respond in the background (make sure to pay attention Ferber's brilliant drumming which is something you should always do). The program contains 11 tracks, only one coming close to 6 minutes, yet the listener is bound to be fully satiated by the sounds. This is no mere "blowing" session, each song has a solid, even singable, melody line. Best of all, everyone gets a chance to be heard without the album turning into solo after solo. That makes the disk feel more like a group effort as if Tallitsch made sure everyone stayed sharp. For instance, the medium-tempo "Curmudgeon", contains a bluesy melody line followed by short solos from both saxophonists and Dease; still, it's the great work from the rhythm section that makes the song feel complete. Yes, these musicians are "pros" but even the most dedicated ones don't always give their all. No such issue here - even blues tunes such as "Greasy Over Easy" have a snap in tier swagger. The CD closes with "Arches", another piece with a gospel feel, a handsome melody, smart harmonies and more strong work from the rhythm section. The electric piano, full bass notes and excellent brushes work set up the solos. Bassist Brendler is oh-so-melodic in his short solo, setting up Charette's short statement that leads to a soulful tenor spotlight while the alto and trombone sway in the background. The closing notes fade easily, a perfect close to an impressive session. "All Together Now" lives up to its name, 6 musicians gathering for 1 day in the studio and creating a "joyful noise." Post-Tone Records is celebrating its 20th year in a grand way, producing albums that are among the best producer Marc Free and engineer Nick O'Toole have sent our way - this just may be the best CD Tom Tallitsch has issued...so far. To find out more, go to www.tomtallitsch.com. As stated above, Mr. Tallitsch is in CT this week, bring his Sextet to The Side Door Jazz Club in Old Lyme on Friday night. Joining him from the recording session will be saxophonist DiRubbo and bassist Brendler plus the fine trombonist David Gibson and pianist Jon Davis (also with 2015 releases on Posi-Tone) - drummer Paul Wells, who works with Vince Giordano's Nighthawks and with vocalist Curtis Stigers, will sit in the drum chair. Doors - front and "side" - open at 7:30 p.m. and the band hits the stage at 8:30. Call 860-434-0886 for reservations and more information. 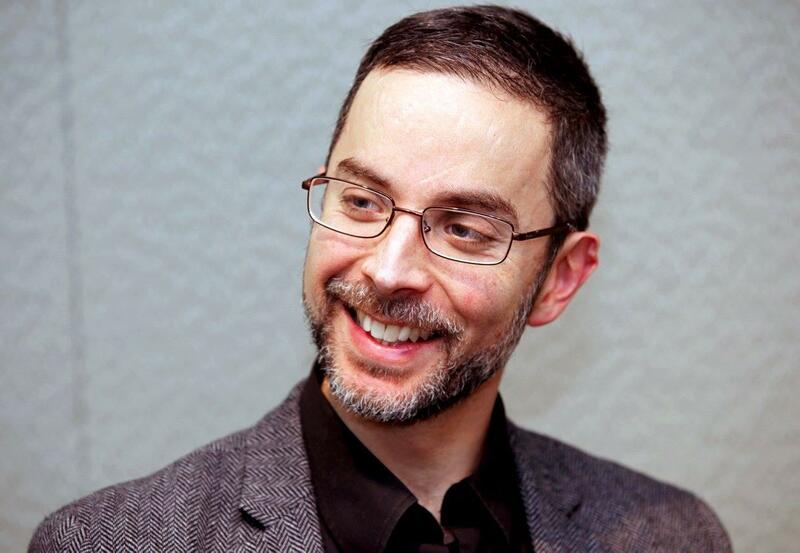 Boston, MA-native pianist Adam Birnbaum has been quite a busy musician since graduating from the Juilliard School in 2003 (after studying at the New England Conservatory of Music in his hometown.) He has toured with such jazz greats as drummer Al Foster, saxophonist Greg Osby, trumpeters Eddie Henderson and Wallace Roney plus scores of other artists. Currently, he's working in bassist Eddie Gomez's Quartet and subbing in the Vanguard Jazz Orchestra. This year, Birnbaum issued his 4th CD as a leader (all in the Trio format) - "Three of a Mind" (Daedalus Records) finds him in the company of Mr. Foster and bassist Doug Weiss on a wide-ranging program that not only spotlights the pianist's formidable technique but his maturation as a composer. The rhythm section gives the pianist great support and allows him to really explore and expand on his solos whether it's a bluesy sojourn such as "Dream Song #1: Huffy Henry" or the gently moving "Dream Waltz" (enjoy the great cymbal work from the drummer and the melodic counterpoint from the bass!) Another standout track is the lovely ballad "Rockport Moon" - pay attention to how the pianist develops the melody and the subtle support from his rhythm section (the brush work is simple yet painterly). And, the trio can light up the sky with musical fireworks. "Ooh What You Do To Me" is a bouncy jaunt that features a crackling drum solo and rhythmic piano phrases. Adam Birnbaum, Al Foster, and Doug Weiss come to The Side Door on Saturday April 25 and, rest assured, they'll play music from the recording and much more. Jan and Ken keep the piano in excellent shape and young Mr. Birnbaum will certainly give it quite a workout. The Trio hits the stage at 8:30 and, chances are good you won't want them to leave anytime soon. For more information about the artist, go to www.adambirnbaum.com. For reservations and information about upcoming shows, call 860-434-0886. The first CD from the quartet known as Old Time Musketry came out in the Fall of 2012 (my review here) on the Steeplechase subsidiary Look Out! The music was and remans so enjoyable, a pleasing blend of folk and jazz, with material that suggests what The Band might have sounded like had they played jazz. OTM - Adam Schneit (saxophone, clarinet), JP Schlegelmilch (piano, accordion), Phil Rowan (bass) and Max Goldman (drums, melodica, tambourine) - have myriad influences; what's even better about their 2nd CD, "Drifter" (NCM East), is how much more seamlessly those influences are woven into the fabric of the music. Listen to how the accordion walks in on the title track (composed by Schlegelmilch, who contributed 7 of the 9 songs) atop the pinging cymbal and throbbing floor tom before joining the tenor saxophone on a mesmerizing melody that has the feel of a "pop" song - it is as inviting as a cool breeze on a hot day. Goldman's drums have a dancing feel while Rowan's bass keeps elegant time. In contrast, "February March" opens on a martial beat before the saxophone and piano head into "freer" territory although the rhythm section never really lets go of the march. Bass and accordion introduce the melody on "Odd Ray" with the drums and tenor keeping time before Schneit and Rowan switch roles for the theme. Throughout the track, the soloists move in and out of the spotlight while Goldman (who is also works with the Danny Fox Trio) maintains a sprightly beat a la Ed Blackwell. "Pastoral" has a classical feel in the opening clarinet-accordion introduction before moving into a more exotic setting. Schlegelmilch's accordion work has a touch of Guy Klucevsek in it and, on this track, Schneit's clarinet reminds this listener of Jimmy Giuffre. The Klucevsek sound is also noticeable on "Two Painters", the handsome chords and single note melody moving into a tenor-accordion unison duet while the rhythm section romps beneath. Again, there is a "free" feel to this track without the band veering off into noise. The high energy introduction to "Transmitter Park" leads to a raucous tenor solo over pulsating rhythms and great counterpoint from Rowan - the bassist gets to solo and his tendency towards melody (as opposed to "flash") serves him in good stead. Rowan also gets the spotlight on Schneit's "The Turtle Speaks", an easy waltz with the surprise of horn section (trombonist Brian Drye) behind the tenor solo. "Weird Waltz" is a dash of Kurt Weill-inspired jollity that manages to pack a lot of music into 1:43. "Drifter" gives off the feel of a band in total control of their sound, 4 musicians playing to each other's strength with confidence and spirit. 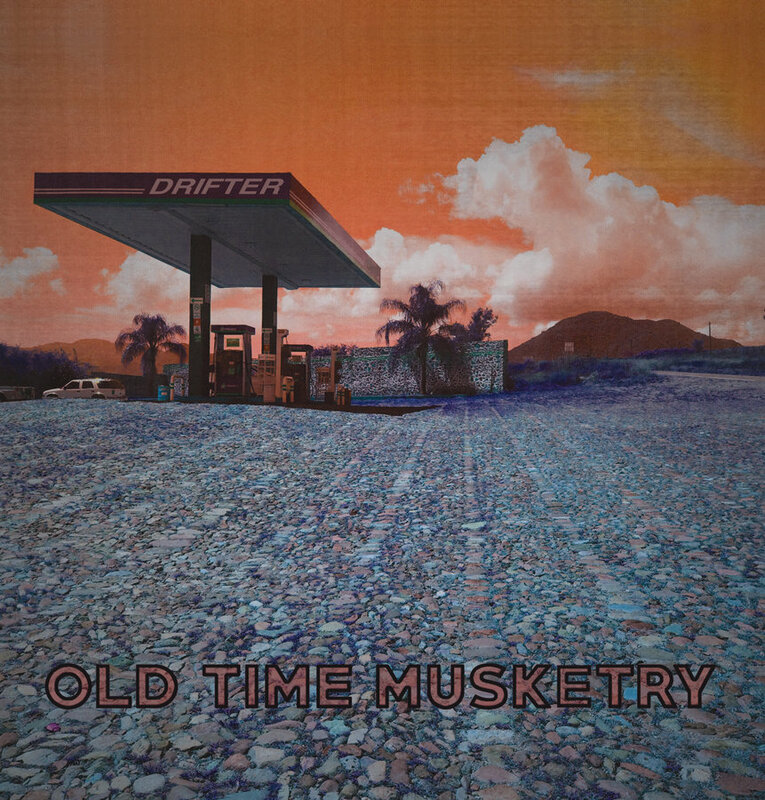 Old Time Musketry makes music that can soothe a listener yet also pokes at one's expectations. There is intimacy in the interactions, freedom in the execution, and plenty of melody to grab your attention. "Belleville Project" (Sunnyside Records) is the trans-Atlantic project of Jeremy Udden (alto saxophone, pump organ, Prophet 5 synth) and Nicolas Moreaux (bass, toy piano). They first met in 2012 and knew from the music they heard each other produce that they shared a number of basic principles and stylistic choices. Thanks to grants from the French-American Jazz Exchange, the Mid-Atlantic Arts Foundation, and several others, the two organized a band to record music that has its roots in Americana, French folk music, cinema music and jazz and recorded in the Belleville section of Paris. 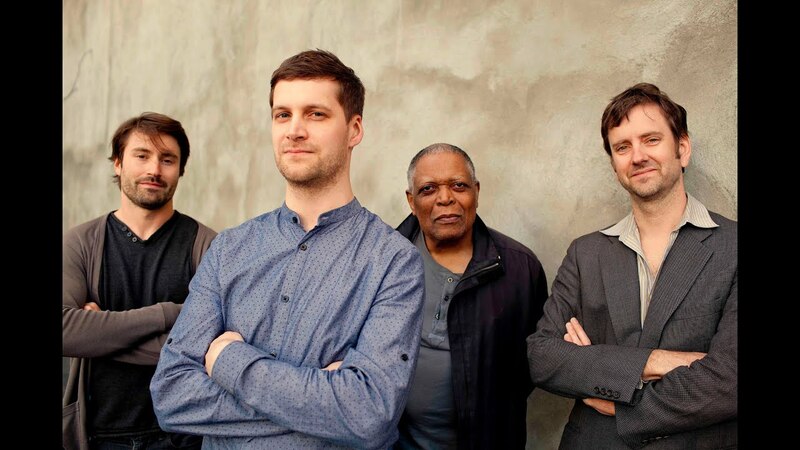 Joining them is British-based tenor saxophonist Robert Stillman (who also plays piano and pump organ), Pierre Perchaud (acoustic & electric guitars, banjo) and RJ Miller (drums) plus Pete Rende (keyboards, synths and mixing engineer). If you know Udden's "Plainville" music (which he describes as "jazz meets Neil Young"), that gives you a good idea of what to expect from 4 pieces he contributes to the recording. But, there are also several surprises. "Belleville" hits hard from the opening alto sax-drums duet although the melody line is still quite handsome. The solo section is, basically, trio (sax, bass and drums) and, thanks to Miller's forceful drumming and Moreaux's active bass lines, has a real jazz feel. The co-leaders each write a song dedicated to their partner. The bassist's "Jeremy" moves quite slowly, as if walking through fog. The theme section features Neil Young-like guitar strumming and fresh saxophone counterpoint but no solos. Meanwhile, Udden's "Nico" has moments when the guitar part and drums sound right out out a late-1950s "rock" ballad - the solos are gentle and the piece rolls along on an easy rhythm. Stillman, who runs his own label known as Archaic Future Recordings, contributes the minimalist "Epilogue" (odd name for the 5th out 10 tunes). It's a quiet tune, with a wistful feel, soft brush work and the 2 saxes playing the theme over a ripple guitar and elemental bass work. The song does fit its name. Moreaux's 5 pieces range from "Jeremy" (mentioned above) to the easy swing of "11", pushed along by the uncomplicated brush work of Miller; it features a fine solo from Perchaud (on electric guitar) plus interwoven saxophone lines. The bassist gets the final 3 cuts, all short, starting with the atmospheric "I'm 39" (2:25) which features an impressive drum solo. Moreau's toy piano introduces the theme of the next track, "Albert's Place" and plays it all the way through, supported by acoustic guitar and pump organ. The program ends on a raucous note with "Healing Process", replete with pounding drums, a "wailing" guitar solo and circular lines for the supporting saxophones. Jeremy Udden and Nicolas Moreaux hit musical pay dirt with "Belleville Project." The 10 tracks barely reach 40 minutes and there's no waste but also few solos. Jazz fans may be a bit put off by the last fact but this music contains many rewarding moments and enjoyable melodies. For more information, go to www.musicbelleville.com/about-ba/. Guitarist Ross Hammond, owner and operator of Prescott Records, has released 11 CDs over the past decade, albums that featured trios, quartets, a smashing duo with drummer Grant Calvin Weston, and a live Sextet recording. Most of the tracks featured the California resident on electric guitar. His 12th release is called "Flight"; it's all acoustic guitar, either 6-string, 12-string or "resophonic" guitar. On initial listening, it may remind some of the work of John Fahey and Leo Kottke. Hammond, whose previous releases had a jazz bent, sticks to a folk-blues program and the music is highly listenable and quite personal. The 15-song disk includes 4 traditional pieces (including "Nobody Knows the Trouble I've Seen" and "On The Rock Where Moses Stood"), 10 originals and an inventive arrangement of "You Are My Sunshine." The music feels deeply personal - you could argue that all "solo" instrumental is personal but I believe a listener can tell when an artist is just "showing off" or truly involved in his/her art. The pieces were recorded live both inside and outside Hammond's home and in various spots around California. If you listen clearly to the original "The Jellyfish Reached the End of the Journey", you'll hear birds singing behind his slide guitar. There are voices heard throughout "When The Cows Face the Same Direction" that indicate the guitarist's family is close by; they don't distract or detract from the poignancy of the melody, just illustrate the "home-made quality of the production. "The Praying Mantis" sounds as if it was recorded outside as well - there's a certain sonic quality, might even be cars going by his location, that's different than from, for instance, "...Sunshine", where it sounds and feels if the listener is sitting right next to the guitarist in his room. Throughout the program, there are moments that capture your ear. For instance, near the close of of the traditional spiritual "Deep River", Hammond plays 3 ringing notes (harmonics) that surprise and please. The richness of his 12-string guitar tone on "Womuts" resonates out of the speakers, like a blanket of sound sent to give comfort. "Flight" could easily get lost in the flurry of new recordings but do give this music your attention. 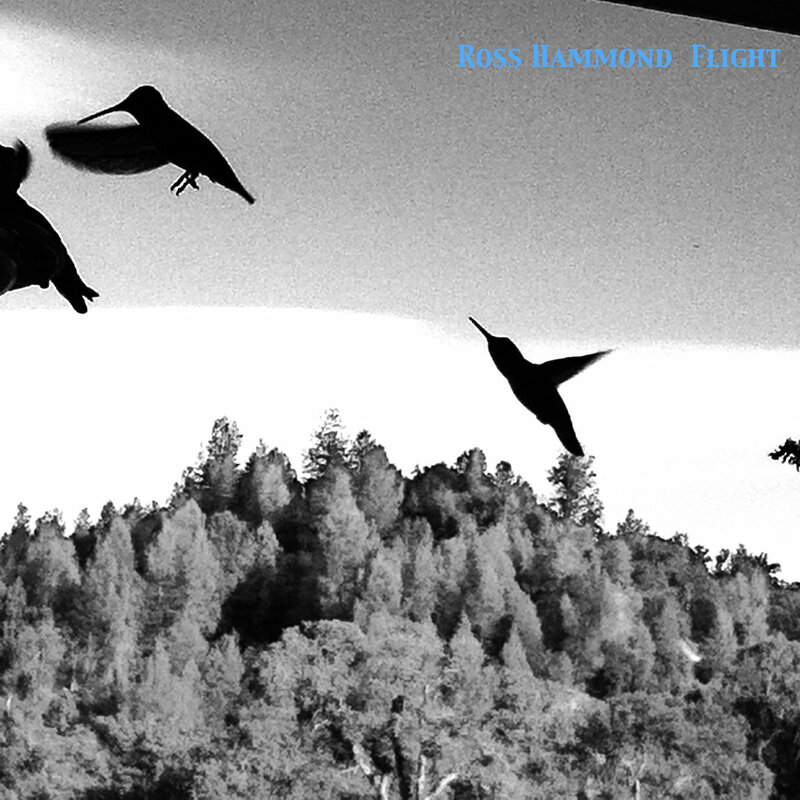 Ross Hammond has created a program that takes you out away from the craziness of every-day life; this is music that, ultimately and intimately, soothes the soul, an instrumental salve for your trying times. This would be a lovely weekend to catch live music. Nels Cline and Julian Lage, 2 guitarists who can and do play just about anything, are in the midst of a tour that celebrating the recent release of "Room" on Mack Avenue Records. That tour brings them to Firehouse 12 in New Haven this Friday evening for 2 sets - 8:30 and 10 p.m. Both sets are sold out and have been for a while. If you call 203-785-0468, they'll put your name on the waiting list. Go to nelscline.com for more information. 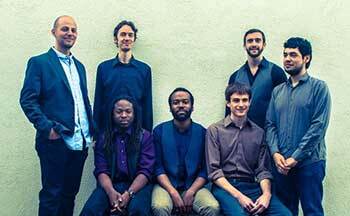 The Side Door Jazz Club in Old Lyme welcomes the septet known as Holophonor on Friday April 17 for 2 sets. The 7 musicians - Josh Johnson (alto saxophone), Mike Cottone (trumpet), Erik Miller (trombone), Diego Urbano (vibraphone), Miro Sprague (piano), Dave Robaire (bass) and Jonathan Pinson (drums) - first met in 2012 as they were attending the prestigious Thelonious Monk Institute at UCLA's Herb Alpert School of Music. They issued their self-titled debut CD in 2014. Listening to that album, you can hear that the band is quite accomplished, that they have learned their lessons well, and that they are well on their way to creating a sound of their own. What stands out the most to me is that they do not get in each other's way, the music never sends cluttered. For more inflation, go to www.holophonormusic.com. Holophonor by Holophonor Doors open at 7:30 p.m. and the septet hits the stage at 8:30. 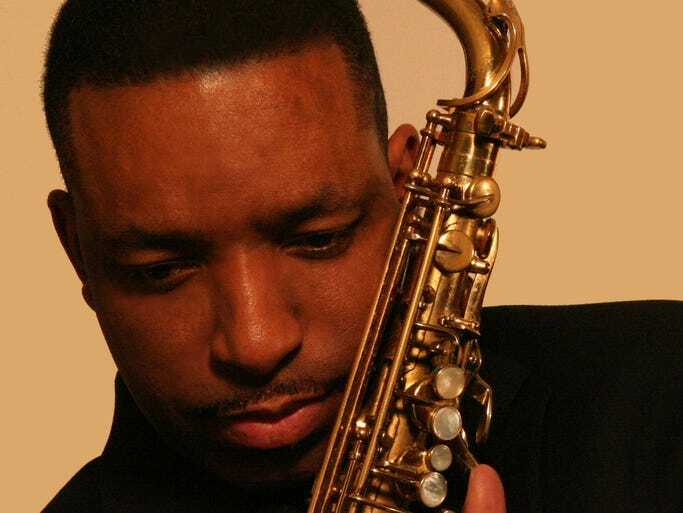 Baltimore, MD, native Steve Carrington brings his tenor saxophone and a sterling quartet to The Side Door on Saturday night. Carrington, who self-released his debut CD in 2014 (with the catchy name of "A Caring Tone"), plays in the hard post-bop style of the late 1960s and 70s but eschews the heavier tones of players like Pharaoh Sanders and John Coltrane. There is also a pleasing bluesy style to his ballad work. Joining him in Old Lyme will be pianist Anthony Wonsey, drummer Winard Harper and bassist Curtis Lundy. Music starts at 8:30 p.m. For more information, go to thesidedoorjazz.com or call 860-434-0886. The Uncertainty Music Series continues Saturday night with a double bill. Headlining the show is the Daniel Levin Quartet, a group led by the cellist/composer Levin and featuring CT native Matt Moran (vibraphone), Nate Wooley (trumpet) and Pedro Ström (bass). While there is a "chamber music" quality to the group's sound, they also feature a lot of free improvisation. Both Moran and Wooley are young veterans of the creative music scene, displaying the ability to play in any style. Opening the show, which takes place at 3 p.m. in G Cafe, 141 Orange Street in New Haven, will be the trio of Chris Cretella (guitar), Louis Guarino, Jr (trumpet) and series curator Carl Testa (bass, electronics). For more information, go to uncertaintymusic.com and to learn more about the venue, go to www.wholeg.com/g-cafe-new-haven.html. Pianist/composer David Ake, whose previous Posi-Tone release "Bridges" was one of the more impressive CDs of 2013, has a new album. "Lake Effect" finds Ake in the company of Peter Epstein (alto and soprano saxophones), Sam Minaie (bass) and the master drummer Mark Ferber. There is so much to enjoy in this music from the articulate piano solos to the inventive playing of Epstein to the solid bass work and pay close attention to how Ferber moves the faster pieces and colors the ballads. Several of the tracks have the sound and feel of Keith Jarrett's "European" Quartet (with Jan Garbarek, Palle Danielson and Jan Christensen). "The Cubs" shows that influence in the soprano sax and drums interaction, in the winding road of the piano solo but also notice the vocal-like drumming. Notice the calypso feel in Thelonious Monk's "Bye-Ya", a joyful romp from the opening notes. Everybody gets to play the melody before Ake jumps into his solo, also an extension of that playful theme. Epstein roams far afield but never loses touch with the rhythm section. A close look at the cover art will give a clue as to the introspective nature of the ballads. The program opens with Ake's original "Lone Pine (for Charlie Haden)" a solo piano piece that is emotionally rich, a simple melody that never loses its way. The melody unfolds slowly on "Tricycles", with Epstein moving high in the alto range; the intensity level ratchets up as well yet the piece never loses its legato flow. 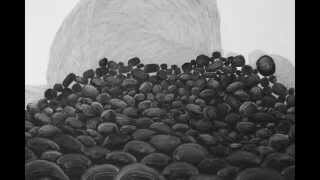 "Silver Thaw" opens with quiet piano chords before Ake plays the Erik Satie-like melody. Ferber's percussion is ever-so-soft behind the piano and it may be a moment before you even hear Epstein's alto playing along with the melody. Soprano and piano are the 2 voices on the lovely "Palhaço", an early work of Brazilian composer/pianist/guitarist Egberto Gismonti and I'm not sure mere words can describe the beauty of the performance. The program comes to a close with the title track, another piece that starts quietly (this time, with a bass solo) and slowly builds a fire but not before Ake plays an impressionistic solo. It's Epstein's alto solo that ignites the rhythm section and Ferber who stokes the fire, first in support then taking the lead. As as been stated before on this blog, engineer Nick O'Toole really knows how to record the drum set, putting the listener in the middle and never at the expense of the other instrumentalists. The title "Lake Effect" may bring to mind cold wind and blowing snow but there is much warmth (and some playfulness) in the music of David Ake. Like fellow pianist Frank Kimbrough, he never wastes a note nor does he ever overplay. He makes certain all the musicians are involved (although I did not write much about bassist Minaie, his forcful work and melodic phrases are integral to the success of the quartet tracks.) Good music for the spring thaw, "Lake Effect" will please you any time of year. For more information, go to www.davidakemusic.com. Ryan Truesdell has been mining the Gil Evans archives for the past 6 or 7 years, uncovering arrangements and sketches that stretch back to the days that the ever-searching Evans was pushing the members of the Claude Thornhill Orchestra to create colors that fused many genres of music. In 2011, Truesdell partnered with ArtistShare to raise money to record a number of these arrangements with a large ensemble, dubbed the Gil Evans Project, to celebrate the arranger's 100th birthday. The ensemble, many of whom also work in Maria Schneider's Orchestra, played some gigs and went into the studio, producing 2012's "Centennial." The results were exhilarating and the reactions quite positive. 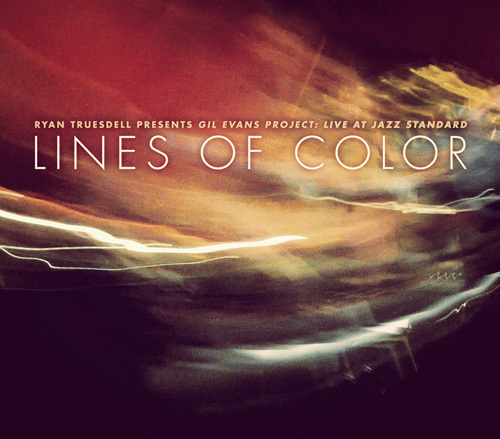 Best of all, Truesdell was able to arrange for more live dates and a yearly week-long residency at the Jazz Standard in New York City. In conversation with Truesdell, he said he had collected enough arrangements to play up to 6 different shows with the GEP, including all of Evans's collaborations with Miles Davis from Columbia Records. For the May 2014 weeks at Jazz Standard, the ensemble's book had 42 pieces! By the time the 20+ band hit the small stage, Truesdell had also decided the next recording would be a live one. The results, one of the first albums released in ArtistShare's partnership with Blue Note Records, is "Lines of Color: Gil Evans Project Live at Jazz Standard" and it's a veritable treasure trove of great performances. While the 2012 CD had 3 tracks over 11 minutes (including a medley that ran over 19 minutes), the new CD has only 3 over 7 minutes. A number of the shorter pieces come from Evans' work with the Thornhill Orchestra, including the swinging "Avalon Town" (composed by Grant Clarke and Nacio Herb Brown) which has 7 solos in just over 4 minutes. The lovely ballad "Can't We Talk It Over" features a sweet vocal by Wendy Gilles who also shines on the happy blues of "Sunday Drivin'" and on the "Everything Happens To Me" section of the "Easy Living Medley." Other highlights include the fun "Gypsy Jump" and its formal trumpet fanfare before the band steps into a jumping rhythm (there are several musical phrases that have an Eastern European/Klezmer sound). Kudos to the rhythm section of Jay Anderson (bass) and Lewis Nash (drums) who both anchor and drive the music plus the Freddie Green guitar comping of James Chirillo and the tinkling piano of Frank Kimbrough. Listen for the playful clarinets of Steve Wilson and Scott Robinson (bass clarinet) during the opening section of "How High The Moon" which features short and o-so-sweet solos from Kimbrough, Dave Pietro (alto saxophone), Ryan Keberle (trombone) and Donny McCaslin (tenor saxophone). John Lewis's "Concorde" is a real toe-tapper, the boppish melody jumping stop Nash's great drum work. Strong solos from Greg Gisbert (trumpet), bassist Anderson, saxophonist Pietro and violist Lois Martin help the cut stand out. As I write this, the second track in the program, Bix Beiderbecke's "Davenport Blues", is playing. Evans recorded the piece in 1959 with Johnny Coles on trumpet. Here, the lead belongs to Mat Jodrell and he absolutely knocks it out of the park. His second solo, right after Frank Kimbrough's busy interlude, brings the crowd to its feet right from the opening note. The joyous New Orleans street music section, played by trombone, trumpet, tuba and soprano sax over the rhythm section, is a real treat, recorded here for the first time ever. "Lines of Color" is a wonderful reminder of the great work Gil Evans produced over the 4+ decades of his career. The music does not sound dated but alive, an excellent reminder that jazz is a living and ever-evolving art form and that it can be fun! Kudos to all involved, especially Ryan Truesdell. For more information, go to www.ryantruesdell.com. Frank Kimbrough is also featured on the new CD by drummer Jeff Cosgrove. Titled "Conversation With Owls", the self-released recording is the drummer's second piano trio album, the first being 2014's "Alternating Current", a totally improvised set featuring pianist Matthew Shipp and bassist William Parker. Bassist Martin Wind, currently a member of Matt Wilson's Arts & Crafts band, is the 3rd member on the new recording. One gets the feeling that this session is also mostly improvised, even the "standards." Kimbrough opens George Gershwin's "I Loves You Porgy" alone. You have to strain to hear when the bass comes in as well as the whisper-soft brush work of Cosgrove. There are few pianists who frame a melody in the manner of Kimbrough, making sure the listener recognizes the familiar strains but also examining different emotions as he moves through the song. A sense of mystery surrounds "Stacks of Stars", especially in the bass opening. Strummed chords, cymbal splashes, and then the piano enters and the music takes on an urgency not unlike a hard rock song but with the energy of Ellington-Roach-Mingus in "Money Jungle." Wind's wild arco groans and odd cries fill the soundscape of "Forest Hunters" until halfway through when the trio begin a journey that feels as if they are falling forward. Cosgrove creates a handsome melodic drum solo at the onset of "Excitable Voices." Once the bass and piano enter, the music picks up speed with melodic fragments careering about. The piece also ends with a drum solo and a quick trio coda, a softer reading of the melody. "The Shimmers" opens quietly but soon the pianist eggs his rhythm section on with a chordal melody. Here, the music may remind some of early Ornette Coleman with its free-wheeling phrases. A air of mystery hangs around the 6th track until you pick the familiar melody of "My Favorite Things" and then the music begins to move away from it again, as if one was in a car rushing towards a city. Nothing seems familiar until you recognize a building or a friend. You don't stop or even slow down, just move away towards your destination. Here, the melody serves as a touchstone - it's there for a moment but the musicians are already moving forward. One can easily get lost in these "Conversations With Owls". The musical interplay, the power of improvisation built upon trust, the seemingly unconscious choice to move in and out of "free" time, the intelligent use of dynamics, all work to engage the listener. 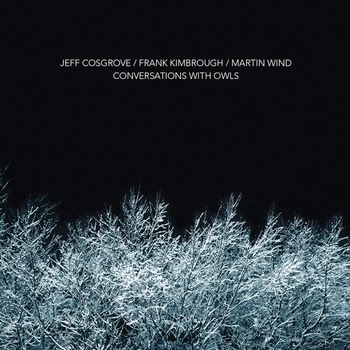 Jeff Cosgrove, Frank Kimbrough and Martin Wind have created an album which draws one back again and again, back to get lost in its mysterious beauty. For more information, go to jeffcosgrovemusic.com. Marta Sánchez is a composer/pianist from Madrid, Spain, who came to the United States in 2011 to study at NYU. She had already begun to capture critical attention as a member of the Afrodisian Orchestra as well as appearing on recordings with vocalists Doris Cales and Natalia Calderon. Before moving to New York City, Ms. Sánchez had released a both a trio and quartet CD. The ballads really stand out. "Ballad Del Momento" has a martial rhythm in the opening left-hand piano work while the right sketches the melody along with the reeds. Filiú takes the first solo, his breathy tone (a touch of Lee Konitz) soaring over the active rhythm section. Throughout the recording, the piano backing makes for essential listening. In this case, Ms. Sánchez not only frames the piece but also give Anning and Burger the freedom to create an ever-changing bottom. "Andy" feels like a prayer but, again, the bottom keeps shifting beneath the soloists. Sabbath plays with great fire, his rippling phrases woven around the piano chords. Time slows down for the piano solo, a portrait of a restless spirit that soon turns into a dance as the bass and drums respond to the darting lines of the solo. "Partenika" is a delightful recording that gives the interested listener much to dig into. Melody and harmony are important to Marta Sánchez but no more than the shifting rhythms that one hears on most tracks. Make sure to go back to listen to her piano work, especially her active left hand and intelligent solos that stretch across the canvas of this album. If you get the opportunity, see and hear this band live - it has to be a treat to watch the interactive nature of this music come to life. For more information, go to www.martasanchezmusic.com. E. J.Strickland, drummer and composer, is one busy musician. Besides playing in his twin brother Marcus's ensembles, he also has worked or continues to work with saxophonist Ravi Coltrane, pianist Luis Perdomo, guitarist Russell Malone, and trumpeter David Weiss. "The Undying Spirit" (Strick Muzik) is his second CD as a leader; his debut, "In This Day", was issued in 2009. Like the CD reviewed above, the recording features an alto saxophonist (Jaleel Shaw), tenor saxophonist (brother Marcus, who doubles on soprano), piano (Mr. Perdomo) and bass (Linda Oh). E.J. is a vibrant drummer, active yet rarely intrusive, knows how to swing yet can lay down a mighty funky beat. In fact, the program opens with "Ride", the drummer laying down a "righteous rhythm" for 1 minute before the band enters, the unison saxophones laying out the melody over the solid bass lines of both Perdomo and Ms. Oh. The piece takes its time to allow the saxophonists to play the melody through twice before Marcus and Shaw to play back and forth. Perdomo steps out in style while never losing touch with the rhythmic nature of the melody. There are several pieces along the way that really jump out of the gate on the force of E.J. 's explosive drumming. Songs such as "Hindsight", the high-energy "Bomba for Leel and Max", the forceful "A Dance for Mojo's Return", and the subtly funky "Transcendence", all burst out of the gate on the power of the rhythm section. Perdomo's left hand and solid chordal work blends so well with Ms. Oh's powerful lines. The saxophonists takes full advantage of the foundational work of the piano, bass and drums to roar, soar and fly, coaxing powerful lines of their own. That said, the ballads are quite impressive. "For My Home Folks" is a bluesy prayer-like piece, with the saxophonists "testifying" while Perdomo's piano goes to church to support them. The emotional tenor solo is fiery and fierce, going for the jugular. Marcus's soprano leads the way into "Ballad for All Mankind" and, when Shaw enters, his counterpoint helps to give the piece its depth and dramatic feel. The tracks also features a fine solo from Ms. Oh, supported by quiet piano chords and the "rat-a-tat" from the snare drum. Ms. Oh's solo also stands out on "Midnight's Clearing", setting the stage for a heartfelt statement from Perdomo. Listen to how E.J. supports them, quiet cymbal splashes, floor tom rolls and gentle high-hat. By the time you reach the final track, "Impromptivity", you can hear how this music takes its cue from the work of drummers Art Blakey, Max Roach and Ralph Peterson Jr. without sounding like any of them This music crackles with excitement yet leaves room for impassioned melodies. You'll also be impressed by the solos, each person building what they "say" from the themes of the pieces. After you get the CD and spend time with this powerful music, you'll want to hear the quintet live. Go to www.ejstrickland.com to find out where and when plus more about the drummer. Although this notice is a tad tardy, you still have time to catch the duo of Mary Halvorson (guitar) and Stephan Crump (bass) tonight (4/01) at 7 p.m. They are playing at a new venue on the Wesleyan University campus in Middletown, CT, Earth House, located at 159 High Street (as a resident of this town, I can tell parking may be an issue, although there should be spots on Lawn Avenue, right around the corner. The duo, known as Secret Keeper, is in the midst of a short tour to celebrate the release of their second CD, "Emerge", coming out this week on the INTAKT label. Their itinerary takes them from Middletown to Rochester, NY, up to Toronto, Canada and ends in New York City on April 17 (go to stephancrump.com/shows/ to see all the shows.) The music they create is a fascinating blend of compositions and improvisations, Crump's melodic and thick bass lines interacting with Ms. Halvorson's slippery, percussive, and highly expressive guitar work. For more information about the duo's recordings, go to www.intaktrec.ch/249-a.htm. (There is no contact phone number or email address for the Middletown venue but the concert is open to the public. Firehouse 12 in New Haven welcomes bassist/composer Ben Williams & Sound Effect this Friday (4/03) for 2 shows. Williams has worked with many jazz musicians, most notably Pat Metheny Unity Band, Wynton Marsalis and Stefan Harris. He brings the band that recorded his soon-to-be-released "Coming of Age" CD, (his second for Concord Jazz) including New Haven native Christian Sands (keyboards), John Davis (drums), Matt Stevens (guitar) and possibly Marcus Strickland on tenor and soprano saxophones (see below). The music they plays blends jazz, funk, soul, hip hop, and more into an exciting mix. They'll play 2 sets - 8:30 and 10 p.m - for tickets and more information, go to firehouse12.com or call 203-785-0468. To learn more about the young bassist, go to www.benwilliamsmusic.net. The reason that Marcus Strickland is listed as "possible" on the Ben Willams gig is that he is also listed as a member of the Ralph Peterson Sextet that performs that very same night at The Side Door Jazz Club in Old Lyme. 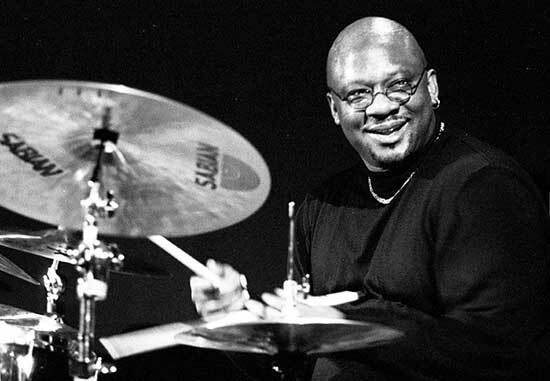 The powerful drummer, composer and educator is scheduled to perform with an ensemble that features Strickland, Luques Curtis (bass), his brother Zaccai (piano), Sean Jones (trumpet) and Hailey Niswanger (alto and soprano saxophones). With or without Strickland, this is one heck of an ensemble. 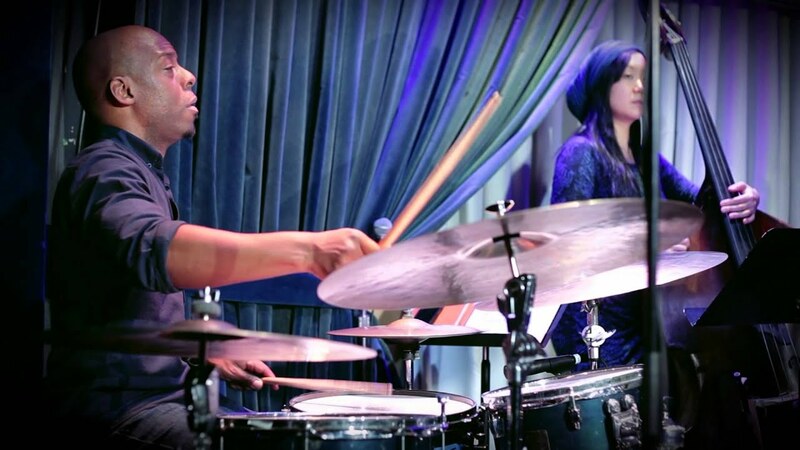 Peterson carries on the tradition that master drummer Art Blakey instituted with his Jazz Messengers in the 1950s, blending younger musicians with more established players to create an exciting sound that looks forward while building on the jazz tradition. Doors open at 7:30 p.m. with the band hitting the opening notes at 8:30. The following night, The Side Door opens for the Donald Harrison Quintet. The New Orleans native is a busy musician, whether touring with his own band, writing soundtracks, performing on television (he was an integral part of HBO's "Treme") and, like Peterson above, knows his jazz history (as a young musician, he toured with the Jazz Messengers). The alto saxophonist brings a band that features Zaccai Curtis (wonder if he'll spend the evening in Old Lyme after playing the Friday gig), Joe Dyson (drums), Max Moran (bass) and Detroit Brooks (guitar). With the exception of Mr. Curtis, the band all hails from the Crescent City. The music they'll play will go in many directions but you should expect that feet will be tapping and hands will be clapping. To find out more about both nights, go to thesidedoorjazz.com or call 860-434-0886.